Dane Jorgen Klubien has lived in two parallel career worlds going back to the 1970's: one as an animator and story man for studios such as Disney and Pixar, the other as a Danish pop star. It's a safe bet to say he is the only one in the world with that distinction. He took a little time out to talk to FLIP. FLIP: Can you tell us about your music career? Jorgen: I began playing the drums in bands in Copenhagen as a boy in the early 1970's. We were four pals from school and we played high schools dances, etc . I always thought of myself as an artist who would become a fine artist with playing music for fun on the side. I enrolled in the Danish Design school at 17, and was then invited to attend CalArts two years later. My music career was put on hold until I returned to Denmark after having assisted Glen Keane, Jerry Rees, and Randy Cartwright on The Fox and The Hound for a year. Back in Denmark I began writing songs with friends and soon thereafter I was in another band, this time as the front man and lead singer. We had a few hits in the mid 80's in Denmark and we have continued to play for fun every so often. I returned to the US in 1982 to work on a title sequence for the show Animation Around The World, one of the first shows on the newly formed Disney Channel. It was produced by my friend and classmate from CalArts, Rick Heinrichs. He's been a great supporter of me throughout the years, and has pulled me unto such great productions as The Nightmare Before Christmas and lately, Frankenweenie. FLIP:. 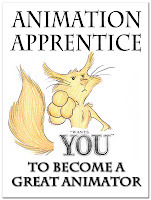 How did you go from Rock Star to animation star, and isn't animation a hell of a lot less glamorous? Jorgen: I was never really that huge a star, only locally a popular singer here in Denmark. that's why I have embarked on a solo album, but only this time I'll sing in English so I can get feedback from my many friends in the States as well. Who knows, perhaps there's a song on it that'll find a wider audience... that would be fun. Sure, it's less glamorous to work on a picture as a worker bee, but I have always enjoyed my work nonetheless. I have got the best of both worlds in that regard... being famous in Denmark and being unknown in the US. FLIP:. Creatively, how does making music for a record company compare to doing artwork for an animation studio? Jorgen: My records have all been produced on small, independent budgets. Therefore I have had total freedom creatively on those. When it comes to making a movie that cost from $50 mill and up, there are always too many worried execs who want to make sure their investment will pay off... so it's two completely different beasts in my experience. I have enjoyed going back and forth between the two camps all my life. FLIP: Have you ever done music for an animated film? Jorgen: I have only been involved with the music for animated films on my own short film, The Little Wooden Boy and lately the Lego movie Hero Factory; Invasion From Below. The only other time my music came in handy was when I boarded the sequence "Eating Song" on James And The Giant Peach. There was a little poem in the book already by Roald Dahl, and I thought it would work well with a sort of music hall tempo and feel... so I suggested that to Randy Newman and he agreed, and so it went. I boarded the "Be Prepared" song in The Lion King, and I think it helps having a musical sense for that kind of thing. FLIP: Do you have a pet project you'd like to do that involved your music and animation? Jorgen: Yes, I do have a pet project for an animated movie that would combine my two interests... but raising money for an independent movie has been hard for me, even if I am one of the originators of the enormously successful franchise Cars. Jorgen created a music video for one of his new songs using a story reel as a style. His music, his boards. FLIP: What film that you've worked on has been the best experience? Jorgen: My best experiences in animation has been whenever something has stayed mostly true to my ideas and still ended up on the screen... not often has that happened, but here and there throughout. In that regard, Cars must rank up there as my best experience, because it got made. But then again, it is also the most bitter experience of mine as Pixar got rid of me before the move ever premiered, and because I feel John Lasseter has written me out of the story of how the film got made, taking all the credit himself. So it's a mixed bag, if you can imagine that. But also my experience at LAIKA, making my own film, Jack and BEN was a real joy... I had the time of my life on that project, right up until they decided not to make it anyway. FLIP: If you could change something about the animation business or production process, what would it be? Jorgen: If I could change something in the business it would be to let me have a chance at it and not stop me mid-way, as what happened to me at Laika. Would just love to get back into the swing of things and help to create some more good characters and stories. FLIP:: Lastly, have you ever jammed music with any animation people? Jorgen: Yes, a little bit... with Henry Selick, who's a really good guitar player, and a few others while at Skellington Produtions in San Fransisco, and with Dave Spafford and Dan jeup, good friends of mine. Tony Benedict's "The Last Cartoonery"
Luc Chamberland's Pool Party - you're invited! NBC Blew it with "The Michael J. Fox Show"